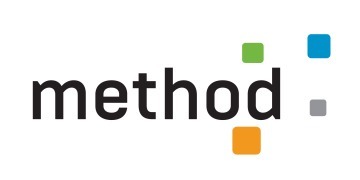 About Method Recycling - Products, News and Contacts. To complete the system Method have designed specialised accessories. The HD Connectors are engineered to seamlessly lock the bins back-to-back, in a line, or to a wall. While Method’s Precyclers provide short term desktop storage for paper, waste and recycling before they are transferred to a communal station. Our HD Connector is made for high-flow environments, keeping your recycling bins either locked in a line, mounted to a wall, or secured back-to-back for the ultimate freestanding experience. Bins can be beautiful, and so can their accessories. Our HD Connector is matte black and immaculately finished. Precyclers are the perfect desk accessory for an open plan recycling solution. Find out more about the behaviour changing recycling bins that are helping influential facilities around the world to recycle more and waste less. Our brochure is a simple and visual way to understand the Method bins including features and benefits.